Discussion in 'Wheel of Time Discussion - Books 1-8' started by Zalina al' Vyrane, May 28, 2015. "She has a face like a goat." 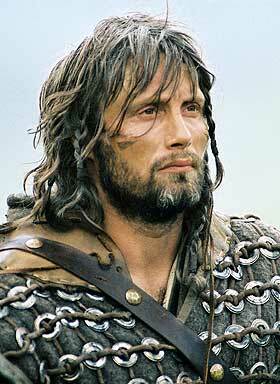 Well, I have my Viggo Mortensen. ..I was about to pick up my copy of TEotW to find my favorite quote, then recalled that I have lent the book out. Alas. I think one of my favorite passages is definitely when Moiraine is scolding the Edmond's Fielders by telling the tale of Manetheren. Chills. Every time. re: speed reading: I read the first eleven books in a month. I read TEotW yesterday, The Great Hunt today, and I'll probably finish The Dragon Reborn tomorrow. I don't think I've ever met anyone who reads as fast as me. And yes, I do retain it, and rather well. I retain it, I just miss things. I could probably read it that fast, if I didn't have other things to do. My favorite line from The Eye of the World? Probably anything with Moiraine. I really adore her. I also live for Nyaneve's POV. And as far as Lan's face cast goes... Just hear me out for a sec: Mads Mikkelsen. I know, I know. Creepy as hell in NBC's Hannibal. But in the 2004 version of King Arthur? Not super duper pretty, but I've never seen Lan as super pretty. It is not a line per se, but I always gets chills when Moiraine tells the story of Manetherens fall. Gets me every time. I totally agree. It's such a powerful moment. I also love the story of Manetheran. I really think it is the last line. "The Prophecies will be fulfilled," the Aes Sadai whispered. 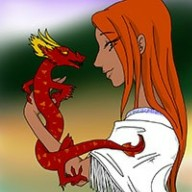 "The Dragon is Reborn." That's a great line. It gives me chills whenever I read it! Well, I'm a hopeless romantic, so I'll go with “I will hate the man you choose because he isn't me, and love him if he makes you smile." I have to agree with Falone & Zelinea on this one. I love this line, it has made me tear up nearly every time I've read it. It shows a maturity that I'm not sure any other character in the books has. Last liners are always great! I just love Nynaeves dialogue throughout it! Light, how the characters have changed! Me too. Every. Time. It's one of those great moments where you're transported even further into a story, and I love it so much! But my favourite is when Rand is thinking, near the end. "Every woman is an Aes Sedai. The Light help me, so am I."